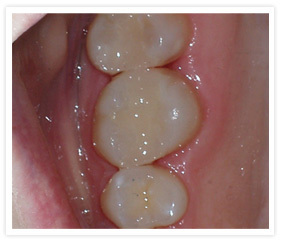 Fillings are used to repair a hole in a tooth caused by decay or cracks. The traditional material choice for this has been silver amalgam. However most peple don’t want silver fillings that show when they laugh or smile. Newer white materials are proving to be an excellent alternative to silver amalgams. How long a white filling lasts can depend a lot on where it is in the mouth and how heavily the teeth come together when you bite. We will advise you on the best option for the health of your mouth. To discuss white fillings call 01606 44725 or e-mail us an questions. It is always important to follow the instructions given to you by the dentist to protect your white fillings. To discuss white filling treatments You can call 01606 44725 or email us or fill our online form to make an appointment with our dentist to discuss your white filling treatment.